whiteGREY Melbourne has bolstered its creative capabilities, announcing the appointment of a new ECD team Garret Fitzgerald and Joe Hill. The multi award-winning CHE Proximity creative duo join the agency at the end of April. The multi award-winning duo have been recognised at Cannes, Clios, Spikes, LIAs, One Show, New York Festivals and many more. Most recently they helped shape industry leading campaigns such as Swann Insurance ‘Inconvenience Stores’ and Carsales ‘AutoAds’, achieving campaign accolades from the world’s most contagious, to Australia’s most effective. Their remit encompasses leading whiteGREY’s Melbourne creative team plus working closely with the agency’s Sydney team providing all whiteGREY clients with the collective creative intelligence of the network. Fitzgerald and Hill will also work collaboratively with Melbourne’s strategy and management teams providing further business leadership and counsel to clients. Katie Firth, National Managing Director, whiteGREY (pictured with Fitzgerald and Hill) said she was thrilled that the agency’s current momentum resulted in its continued ability to attract best-in-industry talent, furthering the scope of the agency’s client offering. Says Firth: “Adding new clients to our burgeoning roster means a raft of new and different business problems to solve, so having a new set of creative minds to join our already talented team is brilliant for both whiteGREY and its clients. Garret and Joe are a team with ambition; they revel in responding to client briefs and with a skillset combining creative and technology, and we love the creative firepower their dual appointment brings to whiteGREY. 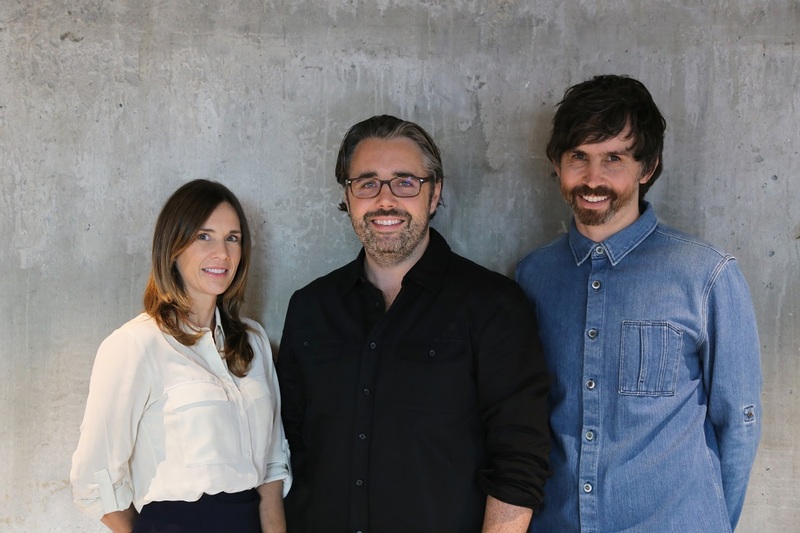 Previously Creative Directors at CHE Proximity, Fitzgerald and Hill have worked as a team for more than seven years at agencies including BMF and Leo Burnett, creating iconic campaigns for everything from underwear to automobiles. Says Hill: “whiteGREY has creative pedigree, contemporary instincts, and a palpable sense of momentum and clarity – we’re honoured and thrilled to be joining the team”. Surely these human size snares around creative departments are a Worksafe issue. Great hire Katie. Garret and Joe are not only great creatives, they’re great people. Good hire, positive signs already. Congratulations Garrett and Joe. Top team! Two of the best! Congrats fellas. Good enough to be national ECDs just clean up the CDs around the country. Garrett and Joe are great – well done guys. Woohoo congrats guys! Can’t wait to see what you do there! Firthy, you’re onto something. Surround yourself with greatness and you’ll go far. Great hire. Amazing guys and strong creatives.